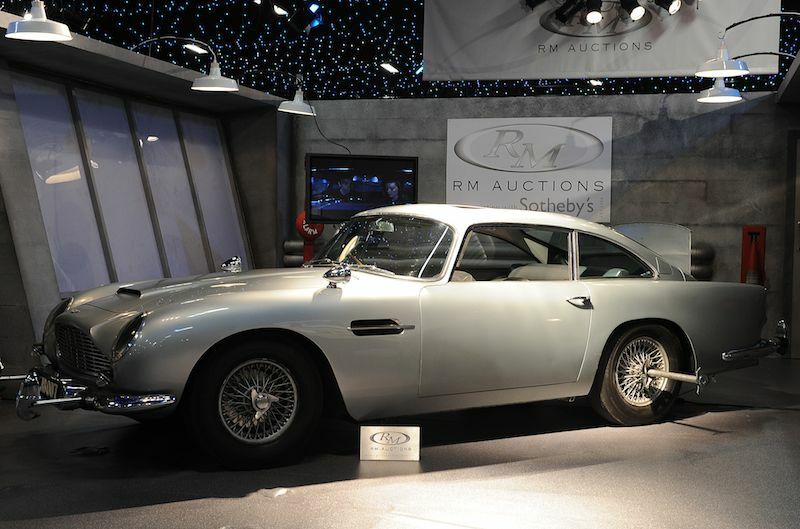 The world famous 1964 James Bond Aston Martin DB5 movie car driven by Sean Connery in Goldfinger and Thunderball, and factory-fitted with the full complement of operational ‘Q-Branch’ gadgets, was sold at auction in London on October 27th, 2010 by RM Auctions, in association with Sotheby’s, in front of a packed audience for £2,912,000 ($4,608,500). Another exciting and valuable addition for new owner of the James Bond Aston Martin DB5 is an exclusive seven-night stay for 10 guests valued at £40,000 at the relaunched GoldenEye Resort in Jamaica – Ian Fleming’s original Caribbean Estate. The luxury getaway will enable the guests to revel in the history and the inspirational surroundings where all 14 James Bond novels were written, and sit at Fleming’s original desk where the Goldfinger car and Q gadgets were conceived. 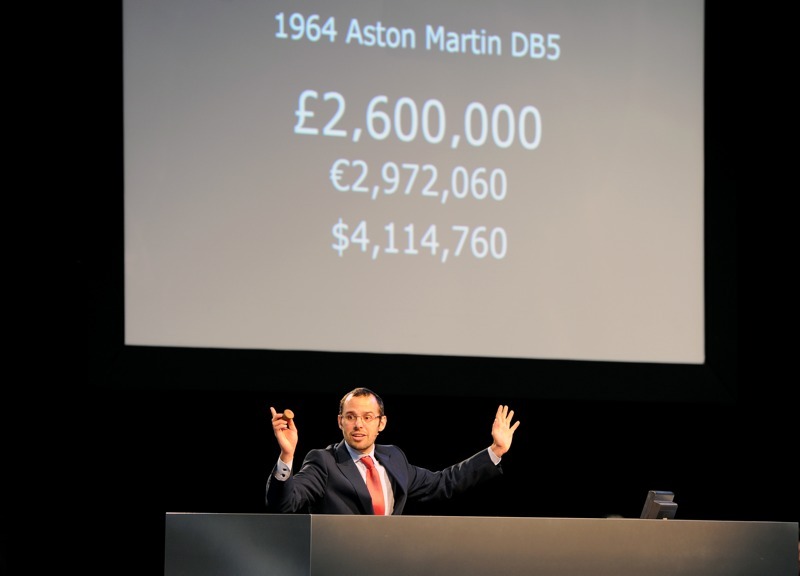 Complete results of RM Auctions fourth annual ‘Automobiles of London’ will be available published when available.